Portable Badminton Set Just $37.27! Down From $80! PLUS FREE Shipping! 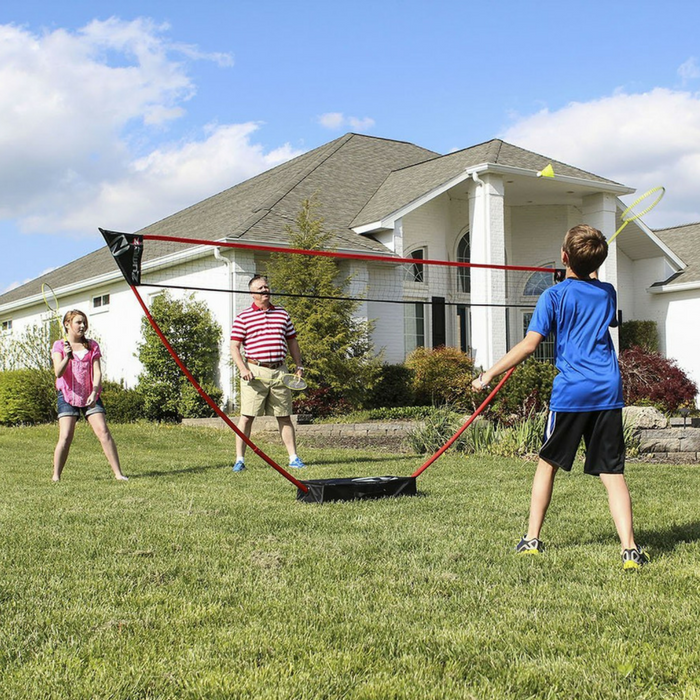 You are here: Home / Great Deals / Amazon Deals / Portable Badminton Set Just $37.27! Down From $80! PLUS FREE Shipping! Amazon is now offering this Portable Badminton Set for only $37.27 down from $79.99 PLUS FREE shipping! Ultra portable and nearly instant, the Zume Games Badminton Set is up in seconds. Its freestanding base design sets up on any surface and doesn’t require tools or stakes. Plus, the carrying case makes it easy to take with you anywhere. This set also includes 2 red rackets, 2 green rackets, and 2 shuttlecocks.